In 2016, after 16 years of success serving the local community, we decided to offer a transportation option to families who live outside of our immediate area. We contracted with a professional bus company, Mission School Transportation, to ensure safe, reliable transport of our campers to and from camp. Our program has been so successful that we are expanding to include additional bus stops for this coming summer season. Stop is in the South end of the main parking lot off Motor Ave. Enter the main parking lot and turn left – go all the way to the end of the parking lot towards the large building. This is the end opposite the golf course. Stop is at the intersection of Warner Ave & Loring Ave.
Stop is on Gretna Green along the school. Stop is at the intersection of W 1st St & S Las Palmas Ave. This is a residential area and the bus will park along the side of the street. Stop is in the Vons parking lot. Stop is in the Gelson’s parking lot. Stop is in the Ralphs parking lot. *All bus arrival times may vary based on traffic conditions. If the bus is running more than 10 minutes late we will either text or email the primary account holder with that information. 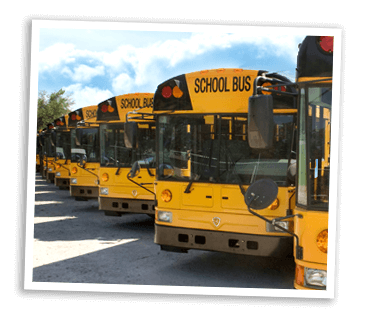 Our bus is safety-equipped, fully insured, and driven by a dedicated, professional bus driver. The bus is outfitted with seatbelts for each child and our bus company will provide optional bus booster seats for smaller children upon request. We believe that the camp day starts as soon as campers step onto the bus in the morning and doesn’t end until they step off the bus in the afternoon. That is why the bus is also staffed with at least one Fitness by the Sea counselor. Our bus counselors are responsible for caring for and entertaining campers during their bus ride by playing games, singing songs, and facilitating friendly contests. We are offering transportation at $18 per day for round-trip transportation or at $10 for one-way only transportation. Because we try to make the bus ride as short as possible for our campers, it is imperative that parents are familiar with the rules and procedures so that our buses run on schedule. Please take the time to familiarize yourself with our Transportation Guide prior to your child’s first day of camp. You are responsible for knowing the policies as they relate to transportation.